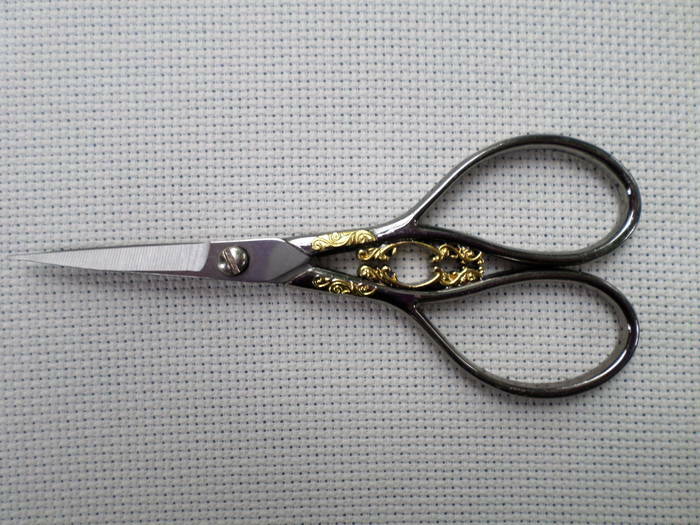 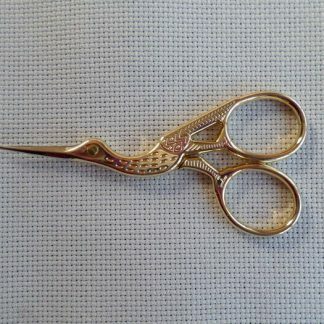 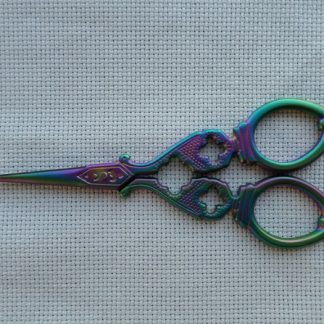 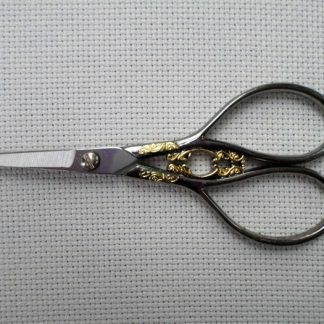 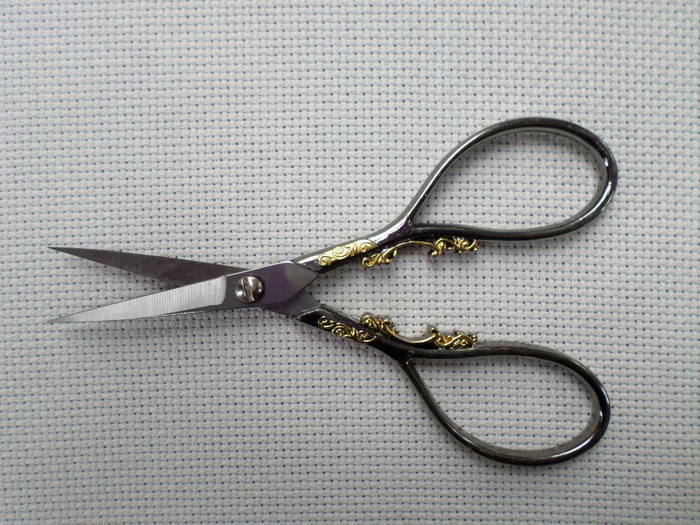 These scissors are stainless steel silver with a ornate gold design on the dark grey handles. 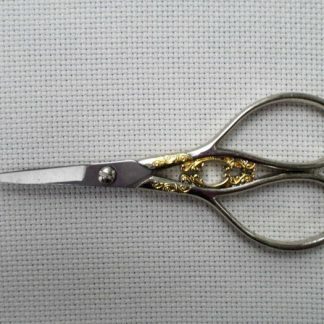 11 cm (4.5 inch) long. 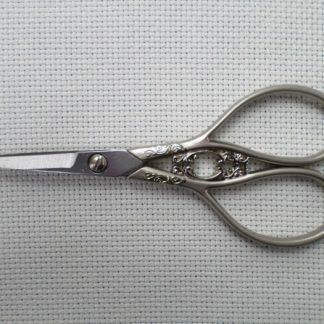 They have a lovely feel and a sharp point. 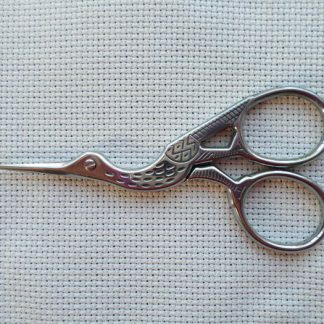 The generous finger holes are 3.5 x 1.8 cm.